Dr. Gretchen Bowling is a board certified physician who has been providing healthcare since 2007. She received her BS in Biology from Texas Tech University before attending medical school at her alma mater, Texas Tech University Health Science Center School of Medicine. Upon obtaining her MD, she relocated to East Tennessee to complete her residency training through ETSU's Quillen College of Medicine. 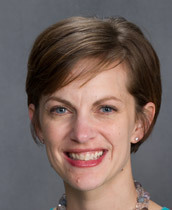 She is a member of the American Medical Association, CMDA, and the American Academy of Family Physicians among others. Her special interests include health maintenance, women's health, and palliative care. When she is not practicing medicine, Dr. Bowling enjoys volunteering with Young Life. Also among her list of favorite activities are reading, gardening, travelling, and simply spending time with her husband and two children.